No need to buy in pieces, this complete Bar Height Table and Stool set will save you time! 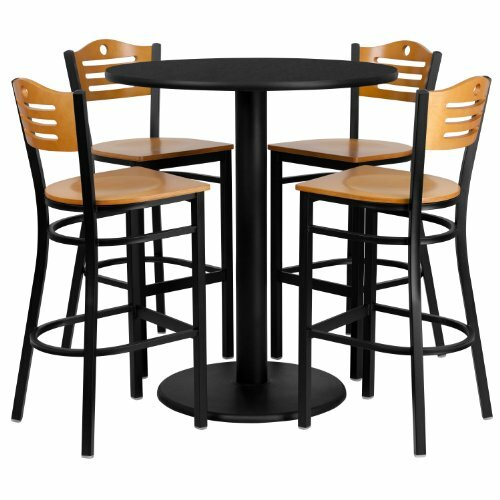 This set includes an elegant Black Laminate Table Top, Round Base and 4 Metal Slat Back Barstools. Use this setup in Bars, Banquet Halls, Restaurants, Break Room/Cafeteria Settings or any other social gathering. Mix in Bar Height Tables with standard height tables for a more varied seating selection. This Commercial Grade Table Set will last for years to come with its heavy duty construction.